Scotland needs to bridge the digital gap! 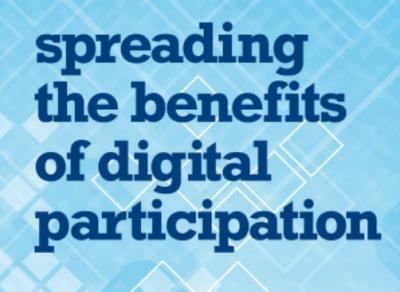 The Royal Society of Edinburgh (RSE) has released its much vaunted, year long, study “Spreading the benefits of Digital Participation”, its blueprint for universal digital participation in Scotland. It stipulates three priority areas - access, motivation and skills development. The RSE believes that it is vital to tackle geographic digital exclusion if Scotland is to have a credible strategy, not just for the survival, but the growth, of the rural economy. It’s a major infrastructure issue, but it’s also about the desire and confidence to get online and, in contrast to some earlier reports, this report focuses on both. Urban participation deficits, on the other hand, tend to have their roots in different and much more intractable phenomena, such as deficits in education, health, housing and the like. This is the area of policy where the third sector, which is partnering with the Scottish Government in tackling digital exclusion, may have the best chance of defining and tackling the policy challenge. The report is not exactly ground-breaking but does usefully collate much of what is already known and raises obvious questions, such as why Scotland’s schools and Higher Education institutions lie empty for 25% of the year, when they could be an active hub for digital access and education. It points out that whilst we should aspire to universal and affordable access, we must also ensure that the internet is a safe place to navigate and places a clear responsibility on government to both respect and protect online rights and freedoms. The report has a thorough sector by sector analysis, including a welcome section on the business implications for small and micro enterprises on the disadvantages of not engaging digitally. This section also includes some very useful references and community case studies. At the heart of the debate is broad agreement that digital exclusion increasingly results in economic and social exclusion and that there is a fundamental onus on government, local and national, to invest in bridging the digital gap. The RSE estimates the cost to tackle basic online skills in Scotland to be £100 million. This is a large sum of money and RSE could be clearer in justifying this figure, as well as suggesting different ways as to how the money could be found. There are always many bids for government funds and many differing views on spending priorities. That said this is an excellent attempt to address digital participation in Scotland comprehensively, and it makes several concise recommendations, which if not ground breaking in originality, nevertheless reinforce the agenda and begin to allocate responsibility. After the Mobile Phone, What’s Next? Should consumer information be more focussed on the end user? Lenny Henry's agenda is gaining traction in the news media.